Exclusive, luxurious and rich, the French 14K Fuchsia Pink Gold Three Stone Round and Marquise Pink and Light Pink Sapphire Diamond Wedding Ring R733-14KFPGDLPSPS from Dreamer Jewelry Collection by Art Masters Jewelry, evokes glamour and elegance. 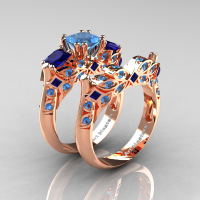 Flashy and tastefully designed for your special moment, this ring would make a perfect wedding ring, engagement ring or a very special present for your loved one. 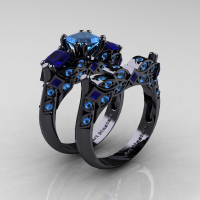 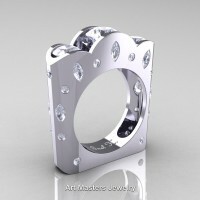 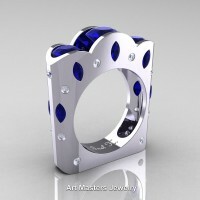 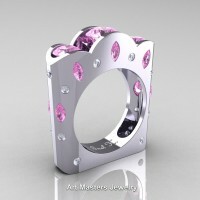 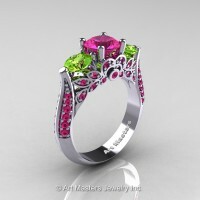 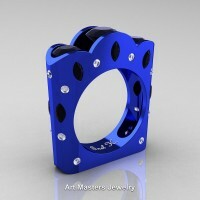 This ring is a designer exclusive jewelry piece. 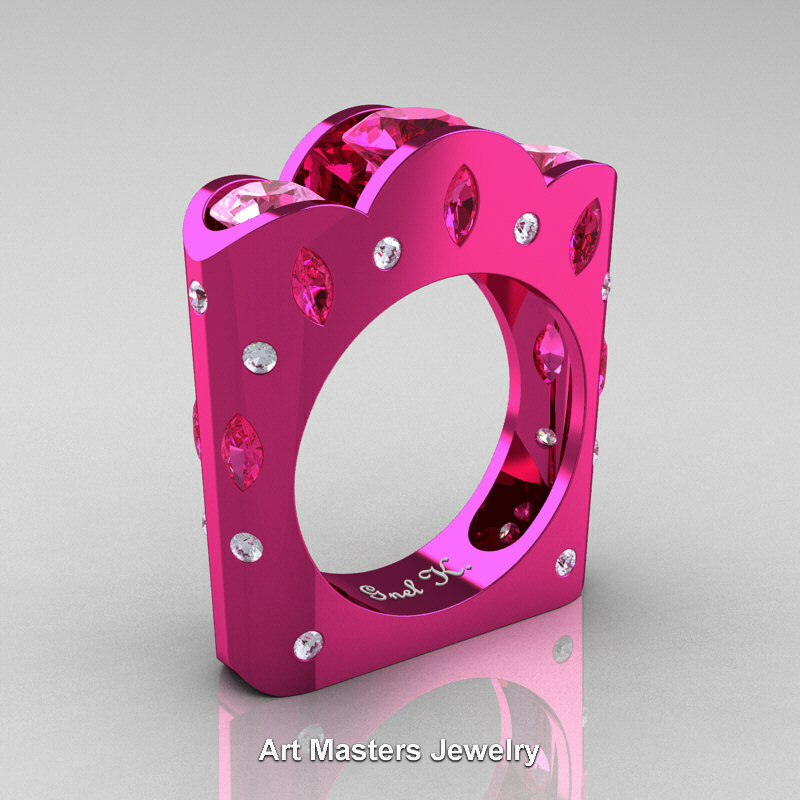 Pink gold (nano ceramic pink rhodium coat on 14k solid white gold) will gradually wear off over time looking exquisite and vintage. As the fuchsia pink rhodium coat wears off, it can not be reapplied. 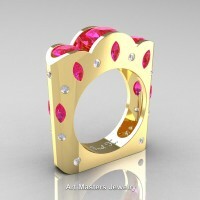 Be the first to review “French 14K Fuchsia Pink Gold Three Stone Round and Marquise Pink and Light Pink Sapphire Diamond Wedding Ring R733-14KFPGDLPSPS” Click here to cancel reply.